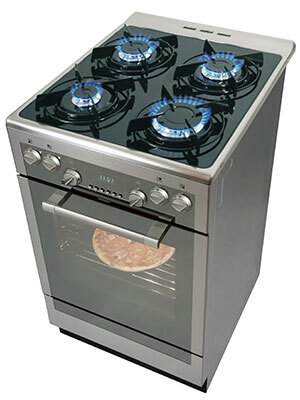 Our technician will install the new stove parts, then test your appliance to make sure the stove repair worked out. Then you are billed for the stove repair in Oak Lawn IL in accordance to the realized stove parts cost and our stove repair specialists labor charge. We always charge the same as we pay for stove parts in Oak Lawn IL, which means any stove parts price cuts will be passed to you. Get in contact with a Oak Lawn stove repair specialist today and start off your stove repair in Oak Lawn IL with a provider you can trust. All said, a Oak Lawn IL situated appliance repair expert will be able to help you out as soon as you call in and book an appointment. When you call us up, also make sure to mention any audible or visible problems, such as if an error code is present. If any of your stove's burners are not giving a good spark, it could be because of the spark module or the spark ignition switch. Test the spark electrode for continuity to see if power is running from the spark module. Then, check the spark wire with the multimeter for continuity as well. If both are fine then it means the spark module is likely the problem. Although, if there is only one defective burner then that means there is a better chance the spark ignition switch is to blame.